We were expecting Apple to release iPad Apps only to the US iTunes Store but it looks like almost every country got some iPad Apps in their iTunes Store. 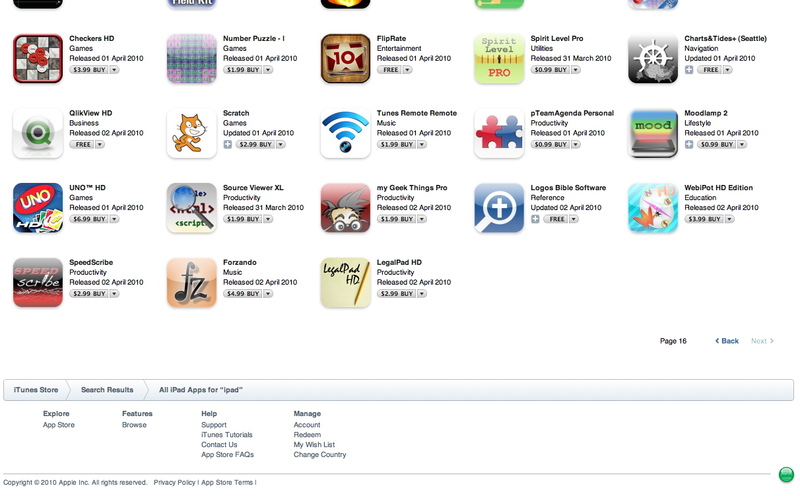 If you searched for “ipad” in the Saudi Arabia iTunes store you will notice 2 sections under Apps: Apps and iPad Apps. 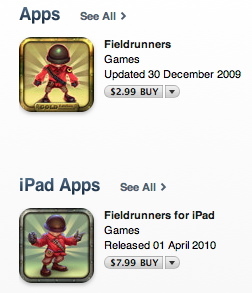 “Apps” are usual iPhone/iPod touch apps, they will work in the iPad but in a smaller screen. 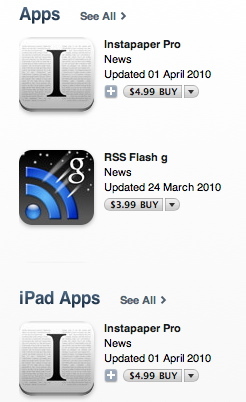 “iPad Apps” are apps designed to take advantage of the iPad hardware. There is a third type “Universal Apps”. These Apps are designed to fully function in both the iPhone/iPod touch and the iPad. 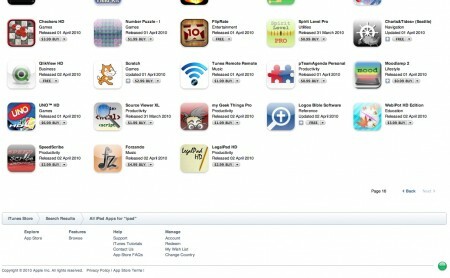 I have found at least 16 pages iPad Apps in the Saudi Arabia iTunes Store. I just have one question. Can I use my iphone apps on my ipad without having to purchase them again? Moreover, can I sync iphone and ipad through itunes both having the same content of music, videos and apps. Of course, not the apps specifically designed for the ipads, but the normal ones. Well, but my obvious questions is…. when are we getting it here in Saudi Arabia? i’m dying to get my hand on it and i hope when it comes to Saudi, the prices will be controlled unlike iphone…. Thanks for the replies. At least itechia will be having it. I would love to have one with sim card; in this way, I am enjoy it while the kids are playing in the garden. the 64gb $829 model should be here for not more than 3700sr – i really hope so. But then again I would just wait for the HP slate, that would be great too considering the fact it will be having usb port with ample hard disk to store ALL kinds of vids. also hp slate will with a webcam which will like a treat on the go. Its hard to decide between both these products, both of which are not out yet. Sameer, get a novatel mifi.